Vacancies vault to a solid seven per cent growth, easing placements back from the brink. Revealed: five falsehoods of a report ignoring the unprecedented, the unfair and the upsetting. 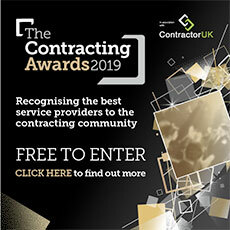 The best of the contractor industry will be crowned in London for their ‘exceptional’ service to contractors. HMRC tipped to ramp up account-raiding as part of its loan charge recovery effort. Ten ‘hot’ skills; five negotiation tips and one big deal that your 16% premium wants approved. Law firm says it’s case of comply and risk being sued. Or keep the client but face sanctions. Chancellor urged to cease and desist, as 60 HMRC customers are considering killing themselves. Hammond hit for being unhelpful, as Loan Charge, MTD and IR35 reform all get his go-ahead. No changes due in today’s Spring Statement, so you can draw your dividends strategy now. ‘Frustrated’ contractors vote with their feet, saying 11th hour grovelling is too little too late. Brexit’s edge exerts a ‘chilling effect,’ resulting in a 29-month low for IT contractors. Focus on fashioning the reform’s unpalatable parts, because the government’s mind looks made up. For the good of our economy chancellor, you can’t afford to ignore the levy’s mounting problems. Three new letters, and the third time Spring Statement is seen as a chance to ‘put back’ April’s tax. As the knockout blow eludes MPs, it’s Loan Charge officials who are actually inflicting the real damage. A day of mass protest and moving evidence culminates in claims of unconstitutional conduct. An offence with huge implications for contracting just got its own widget for whistle-blowers. A question that the Revenue last year dodged is finally answered -- by contractors it hired. Protest organisers call you to stand shoulder-to-shoulder with MPs fighting retrospection. MPs get a preview of how HMRC’s tax has turned people’s lives upside down. ‘Wait and see’ mode until Brexit completes has put the brakes on contract billings. Divisiveness, change and removal. It’s all gone on, but now it’s time to move on. Contractors, it’s time to remove HMRC’s ability to be judge, jury and executioner. Taxpayers on less than £30k are offered an automatic, ‘no questions asked’ arrangement. Chancellor to get to his feet two weeks pre-Brexit, a few weeks post-IR35 consultation. Fill in our short survey for the chance to win a £100 Amazon voucher. Aside to small fluctuations contractors will welcome, the big move looks like less IR35-inspired hiring of permies. Leaf-turning by a blinkered, intransigent HMRC is an unlikely prospect -- at least on IR35. A cross-party group of peers and MPs will probe the April tax’s impact on contractors. Knowing yourself is the key to exploiting fierce competition, sharp appetite and rising rates. CGT not being taken off you doesn’t make you a victim (although you may be). QC tweets against the ‘spin’ of a taxman who he says should be ‘soul-searching’. Shortlist you for a detail-orientated environment? Probably not if you can’t spell.